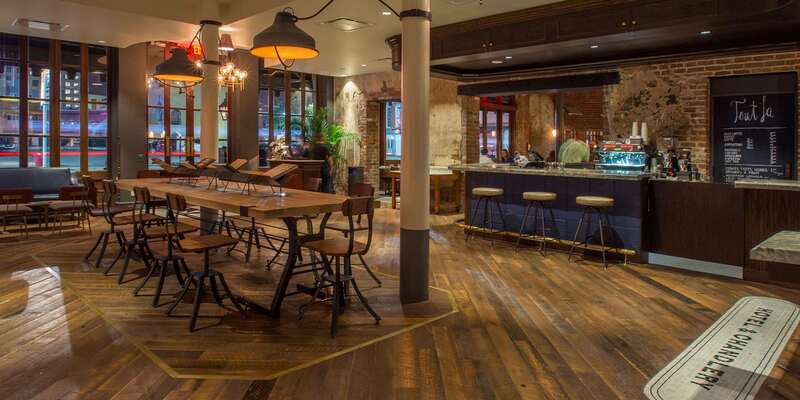 Woodbine partnered with GFI and Provenance Hotels to restore The Old No. 77 Hotel & Chandlery (formerly the Ambassador) tucked cozily between the warehouse and arts district and the central business district of New Orleans. The Old No. 77 is a permanent guest inside a building that was a tobacco and coffee warehouse from the mid 19th century until 1997, at which point the structure was converted into a hotel. The property closed in 2014 for renovation and rebranding and reopened in 2015. Today, The Old No. 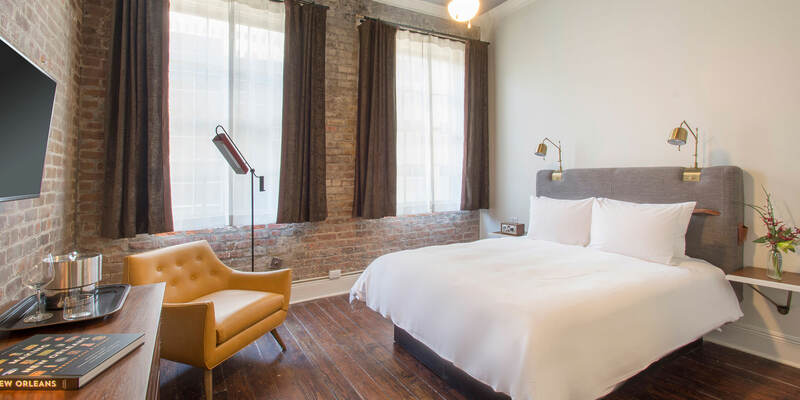 77 exhibits a rich combination of old and new, convenience and comfort—embracing the history and romantic stylings of its hometown while also delivering the attractive interiors, amenities and elevated service most relished by travelers du jour. As a matter of good taste, Woodbine, GFI and Provenance worked to recruit Nina Compton, the runner-up from Season 11 of Top Chef, to drive the F&B concepts at The Old No. 77. Compton’s delicious and notable Compère Lapin restaurant has been the source of interest and acclaim from guests, locals and media alike.